I am not sure where to start. I was so looking forward to reading this book as I have read many of Colleen's books. This story came out of left field and it didn't seem like the same author had written it. The overall concept is interesting but this book fell flat for me. The characters are so wishy washy and I felt no character development or connection. The suspense part was not really suspenseful and was more confusing than not. I felt like too much was just thrown in this book and it didn't flow right. Once the ending was getting close I had it figured out but was disappointed. The relationship with Jesse and Liam and Alanna is pretty much weird and how it ended seemed very unrealistic. The mentioning of soul transferring and an exorcism were completely random and not necessary. I don't want to give away too much but DNA is DNA. 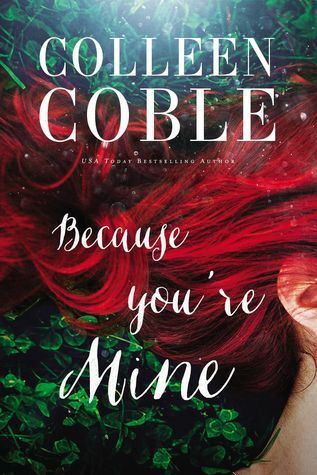 Anyway this isn't a Colleen Coble book I would recommend. She has so many other wonderful books that this one just wasn't up to par. "I received this book from Booklook for free. All opinions are my own."